To keep your weed eater running for years, it’s important that you take the time to prepare it for self-storage. Tossing the weed eater in a storage unit without performing some basic maintenance will likely lead to problems in the future. Luckily, preparing a weed eater for storage is not a complicated process and should only take an hour or two. To get started, follow these tips from Affordable Family Storage in Omaha. 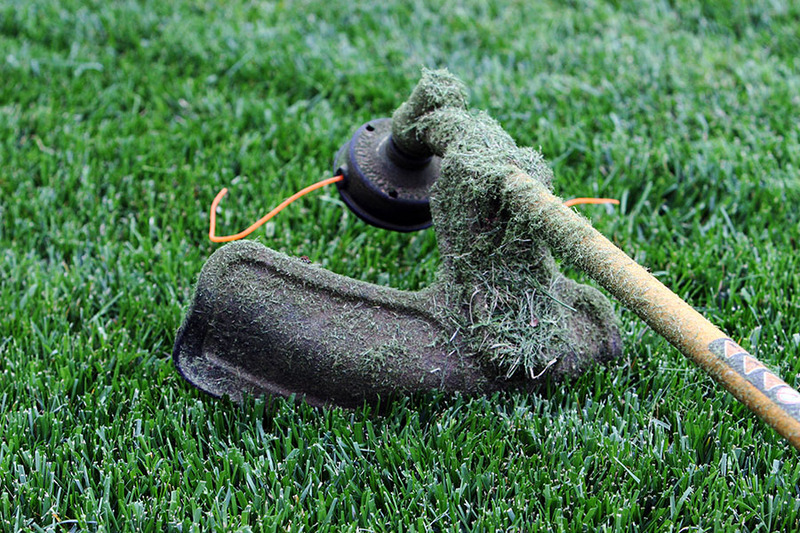 Throughout the mowing season, weed eaters collect a lot of dirt and grass shavings. Before placing yours in self-storage, be sure to give it a thorough cleaning by sweeping any grass, dust, or dirt off the surface with a broom or brush. With a flat blade screwdriver or an old toothbrush, clean out of the nooks and crannies. After you remove as much dirt and grime as possible, spray the weed eater down with a high-powered hose. Once the weed eater is nice and clean, it’s time to inspect all the parts. Begin by disassembling the head and taking a look at the retaining spool, springs, and drive shaft. If the spool looks old and worn down, now is a good time to replace it. After replacing the spool, remember to turn the weed eater on and make sure everything is working properly. If your weed eater has an air filter, pull it out and check if it needs to be replaced. If you are not going to use the weed eater for a few months, it’s a good idea to drain the fuel tank, especially if the weed eater will sit in a self-storage unit. When disposing of fuel, be sure to follow your local environmental laws. If you are only storing the weed eater for a few weeks, there is no need to drain the fuel line. Now that everything is clean and inspected, you can lubricate your weed eater. This is an important step, one that is sure to prevent damage in the future. Using WD-40, lubricate any moving parts and the drive shaft. Check and tighten all the screws and bolts, and coat all the external parts with a light engine oil to prevent rusting. Once everything is oiled and greased, you’re all ready for self-storage. If you are looking for a self-storage unit in Omaha, Nebraska, look no further than Affordable Family Storage! We are always happy to talk to new customers and help you find a storage unit that is right for you, so give us a call today at 402-810-8881.